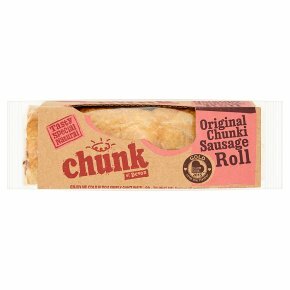 Made from Locally Sourced Pork, Seasoned with Herbs and Spices and Wrapped in our Delicious Buttery Ruff, Puff Pastry. Tasty, special, natural. Our sausage meat is sulphite free. To Heat Me: Remove all packaging place on a baking tray into a preheated oven. 180°C, 160° fan, 350°F, Gas Mark 4.For approximately 25 minutes. (Best not to microwave as this will make the pastry soggy).